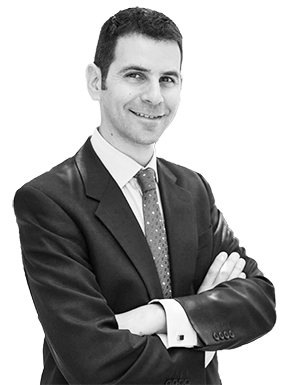 Dr Daniel Glass is a UK trained Consultant Dermatologist registered as a skin specialist with the GMC, in both paediatric and adult dermatology. Daniel Glass is a Consultant Dermatologist trained in the UK and registered as a skin specialist with the General Medical Council. After qualifying at the University of Birmingham Medical School in 1999, he completed his postgraduate medical training in London. For over 10 years he has specialised in Dermatology and is happy to consult regarding you and your family’s skin care needs. Outside of his private pratice, Dr Glass is a Consultant Dermatologist and lead clinician for skin cancer at London North West Healthcare NHS Trust. In addition, he is an Honorary Consultant Dermatologist at Mount Vernon Cancer Centre. Patients throughout London consult Dr Glass about their skin care concerns, including psoriasis, eczema, rashes, acne, skin cancer diagnosis and management. He performs skin surgery and mole evaluations on a regular basis, including for benign lesions typically not covered by the NHS and insurance companies. He also provides treatment options for excessive sweating and keloid scars. Since 1993, Dr Glass has been actively involved in research into skin disease. His research into the genetic basis of skin ageing and the development of melanoma skin cancer complements his clinical practice. Dr Glass’ research has been supported by grants from the European Union and The Wellcome trust, and he was awarded a prestigious Medical Research Council Fellowship. The research he undertook on skin ageing has resulted in invitations to speak at international dermatology conferences. Dr Glass’ contribution to several book chapters and authorship of publications in peer reviewed high impact medical journals attest to his international credentials. Dr Glass is an Honorary Senior Lecturer at Imperial College London, teaching postgraduate and undergraduate students; he is also a Clinical Research Fellow at King’s College London. He serves as the North West Dermatology Representative to the London Cancer Alliance, and is passionate about improving outcomes in skin cancer management. Whether you need a Harley Street skin doctor for a mole check, mole removal, acne treatment or other skin conditions, Dr Daniel Glass is available to help you.